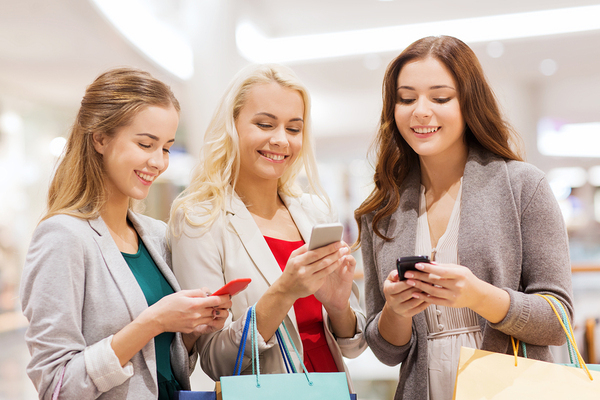 Whether you share a short code or use your own, it is an important component to your SMS marketing campaign. This is the number that your customers text to opt-in or otherwise take part in your texting program. There may come a time where you decide to change it. This could be due to moving from a shared short code to one you own, going from a short code to a long code, or changing service providers. No matter the case, the switchover needs to be handled in the most efficient way possible to minimize the number of subscribers you lose. The following tips can help you make a seamless transition when the time comes for you to change your short code. It is important that you first let all your current subscribers know about the change through a text message. This text should inform subscribers of the new code, while also giving them the option to opt out of your campaign. You could also include a link to more information if you have more to say about the change. Not only should you send a message from the old short code informing customers of the change, you should also send a text message to your subscribers from the new number once the change is complete, informing them that your messages will now come from that short code. The Mobile Marketing Association’s Best Practices include only this one main aspect, but there are other things you can do to make the transition easier. A simple informative text about the change is all that is needed as long as the rest of your SMS marketing program remains the same. However, if you plan to also change the frequency or content type of the messages, then you need to also inform customers about those changes and provide a way for them to opt out of the program. You may need to do this in another text, depending on the number of changes. If you previously used a particular short code that you included in a lot of your advertisements, then it is important that you start advertising the change with plenty of lead room. You also want to remove any marketing collateral that might have the old code on it. This includes any flyers, billboards, posters, TV or radio ads, print ads, social media profiles and/or posts, your website, digital ads, or anything else. This should be done as soon as possible to give you time to prepare for the change. In some scenarios, you might wish to have both short codes for a particular of time to catch anyone who may be seeing older advertisements and opting in to the older code. You do not want to have this for very long, however, since it adds work and expense. As you get new people opting in with the old number, you need to send them information right away about the change to the new number. The text you send that details the change does not need to be boring; it can include a bit of fun. You can use humor to infuse some personality into the text. This helps to retain the interest of your customers while also informing them about the change. Despite adding pizzazz to your message, you still want to make sure that the main focus of the message is clear, concise, and within the 160 character limit. To reduce the amount of customer churn that occurs due to the changeover, don’t be afraid to reward customers. You can include a special coupon or offer in the message that informs customers about the initial change, as well as the one with the same number. This shows your gratitude to the customers for being part of your SMS marketing program. Customers respond positively to gratitude, as well as changes to save money, increasing the number who will choose to stick around. As with any SMS marketing message, it is important that you do not forget to sign the message. Although this is important no matter what message you send, it is extra important when you switch numbers. This helps to make it clear to the customers what business is contacting them, especially as they may not save your short code in their list of contacts. It is vital you include your name towards the beginning of the message when you send your first message from your new short code as well. Customers often scan the message quickly, so you need to let them know as soon as possible the sender so they will keep reading. There is nothing wrong with choosing to change short codes, and it is inevitably a part of SMS marketing. Most likely, you will loose some customers during the change. However, if you do the change smartly, you can reduce the number of customers you lose and also make the whole process smooth and seamless for you and the customers. Unsure whether to use short or long codes for your new number? Learn more about the differences with this Group Texting blog post.